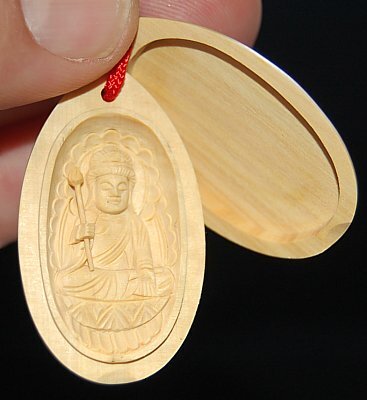 Wonderful and intricate carving of Monju with protective cap. The top of the statue has a small hole, allowing you to insert a string or other cord to connect the piece to your cell phone, car mirror, or anything you like. Two pieces: (1) protective cap and (2) main piece with the deity's effigy; both pieces snap together snuggly for compact storage. 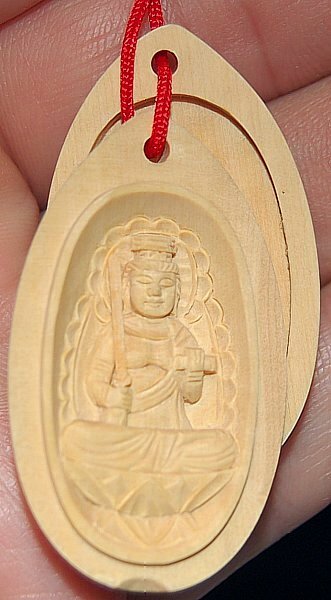 See Monju background notes for more details on this deity. 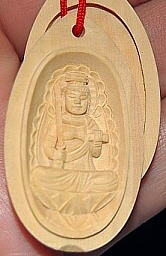 Above is example of amulet size (example deity is not Monju). 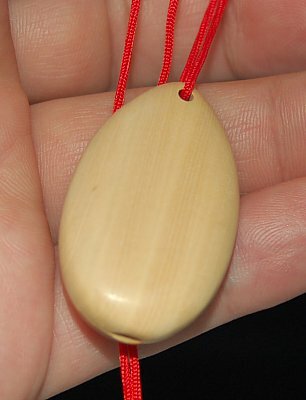 Monju piece comes in same size and same two-piece design.